America's youngest self-made female billionaire is 30 years old and a college dropout. The company she founded has the potential to change health care for millions of Americans. Elizabeth Holmes left Stanford University at 19 with a plan to start her own company. For money, she cashed out the funds her parents had saved for tuition. Now, she counts billionaire Larry Ellison as an investor and has former secretaries of state on her board. "I think a lot of young people have incredible ideas and incredible insights, but sometimes they wait before they go give their life to something," she said. "What I did was just to start a little earlier." Holmes, through her company Theranos, has taken on the $76 billion laboratory-diagnostic industry as her target. It's an industry that was just waiting to be disrupted, since blood testing has not changed since the modern clinical lab emerged in the 1960s. Her idea: No more vials. No more tourniquets. Just a pinprick of blood gathered in a container smaller than a dime. And up to 70 lab tests can be run on one drop of blood in less time than traditional tests. Holmes thinks that ease of testing will make people more likely to go through with blood tests and help with earlier detection of illness, something she's passionate about. Her father, Christian Holmes IV, has spent a career working in humanitarian assistance, including several executive positions with USAID. "My father worked in disaster relief and so I grew up in a house that had pictures of all these little children in really tough parts of the world," she said. "I was absolutely convinced that was what I was going to do. Then when I started realizing that a company could be a vehicle for having very direct impact over a change that you are trying to make, I started thinking about the concept of what could I build that could impact a lot of peoples' lives?" 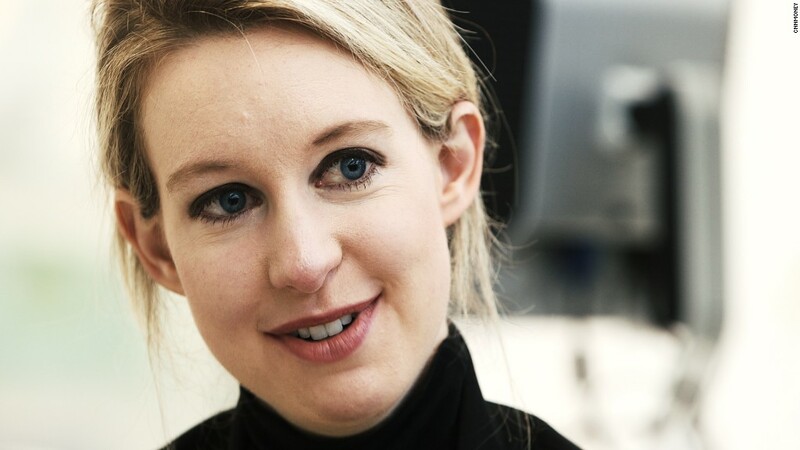 Elizabeth Holmes owns 50% of her company, Theranos. The solution she's built is the Theranos Wellness Center, which has calming music, glossy magazines and offers a blood test with a relatively painless prick. Holmes' ultimate goal is to have one center within five miles of any American (or one mile for folks in big cities). Theranos teamed up with Walgreens pharmacies to help make that happen, and the centers are built within existing Walgreens stores. There are currently centers in California and Arizona, with plans for a gradual rollout into 8,200 neighborhood Walgreens across the country. "It's bringing the testing closer to where people live and also changing the hours of operation, so that on a weekend or late at night you can get access to these tests. You don't have to leave work, leave your job during the day," Holmes said. Holmes is also a proponent of transparency in health care, so Theranos lists the price of all of its nearly 1,000 tests on its website. Often the costs are a fraction of what they would be through standard reimbursement rates. The Theranos labs are shrouded in secrecy. 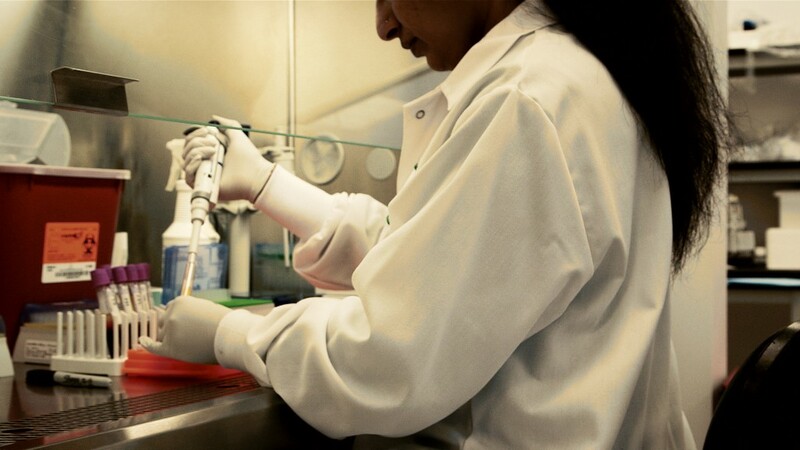 According to American Clinical Laboratory Association, more than 7 billion lab tests are performed in the U.S. annually and lab results dictate 80% of clinical decisions. Far too often, the cost of laboratory tests and the fear of having a needle jabbed into one's arm deters patients from getting the necessary tests. "Forty to sixty percent of Americans today are not compliant with even the basic tests that their physicians give them when they do see them, because often they can't afford it, or they are scared of needles," Holmes said. She feels the same way about needles. "I really believe that if we were from another planet and we sat down to put our heads together on torture experiments, the concept of sticking a needle into someone and sucking their blood out would probably qualify as a pretty good one," she said.